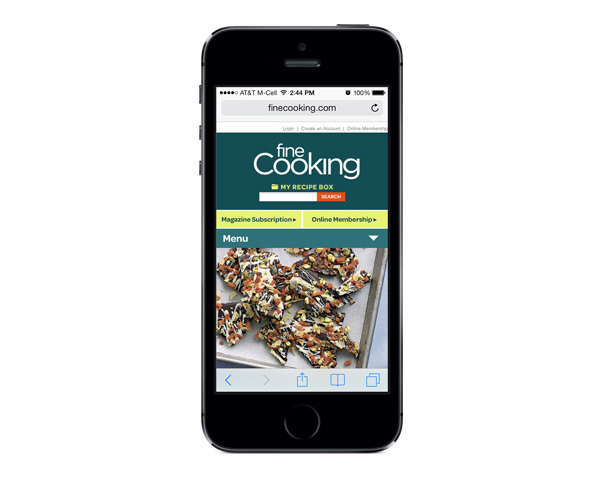 In 2013 I was tech lead on the project to redesign and relaunch finecooking.com as a fully responsive site. I worked with a team from all across the company including Content, Creative, and Marketing. The site, like many of our sites, was deployed both on a .Net Ektron platform and a PHP Codeigniter platform. Part of the challenge was to make this seamless across platforms. We also had to support back to IE8. I worked on having the templates on both platforms converted to use Zurb Foundation 3 framework, and we used the Sass preprocessor for our CSS. 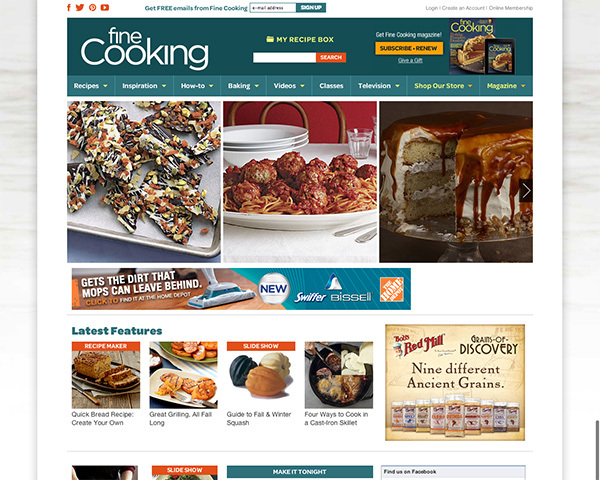 The design mandate was to make the site “cleaner” than its predecessor. This was accomplished by focusing on larger photographs, clean typography, and consistent white space. 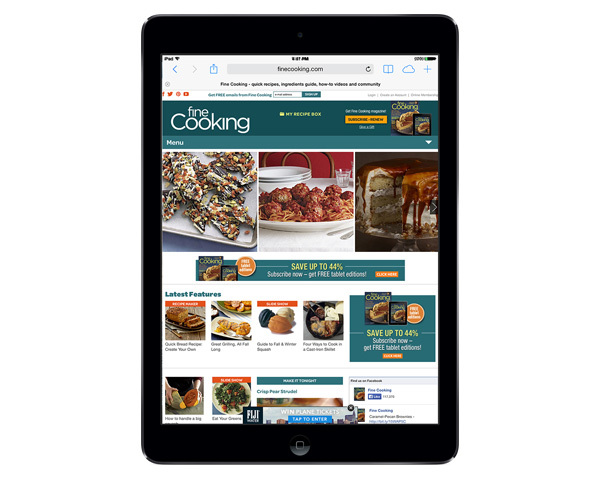 The relaunch was very successful, and the new site has gotten excellent review from customers.